With the expansion of radio frequency (RF) wireless technologies, it is imperative that your wireless medical device peacefully coexists with other wireless devices in a hospital, doctor’s office, clinical environment, as well as consumer and commercial environments. 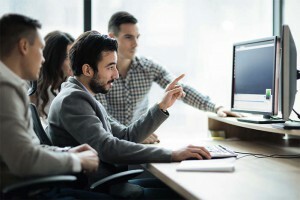 Coexistence means that your wireless medical device doesn’t interfere with other wireless devices (e.g., preventing devices from functioning, etc. ), and that your wireless medical device is not impacted (e.g., data loss, corrupt data, etc.) due to other wireless devices. With this in mind, the U.S. Food & Drug Administration (FDA) has released a guidance document – Radio Frequency Wireless Technology in Medical Devices – Guidance for Industry and Food and Drug Administration Staff – outlining the necessary steps to take and requirements to ensure coexistence. 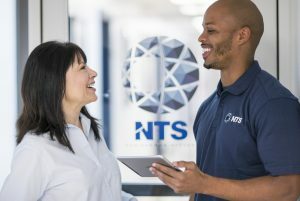 First, NTS will work with you, the manufacturer, to identify those areas which will need to be tested and verified (depending on the wireless technologies you support, and those wireless technologies which will likely impact your product). Next, NTS will develop a detailed test plan outlining the technologies to be tested, and the method of testing based on the guidance from the FDA documentation. You will then submit this document to the FDA for preliminary approval prior to the start of testing. NTS can then perform testing based on this test plan, and provide you with the results to provide to the FDA for their review/approval. After which, you can confidently release your product knowing that it will function correctly in a medical environment. NTS has the expertise to assist you in all of your coexistence testing requirements. Let NTS help you get your wireless medical device tested – contact us today!